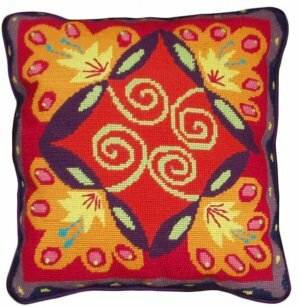 Needlepoint cushion kits allow you to stitch up your own sofa 'ornament'. We have a large selection, sourced from all over the world. 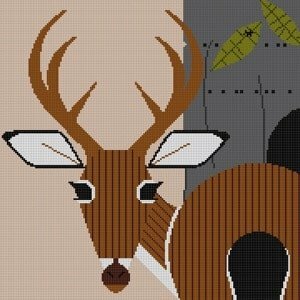 Most kits include a color-printed needlepoint canvas, yarns or threads, a needle, and instructions for how to needlepoint. The pillow backing is not usually provided. Some kits will have instructions for how to sew the stitched canvas up into a pillow or cushion. 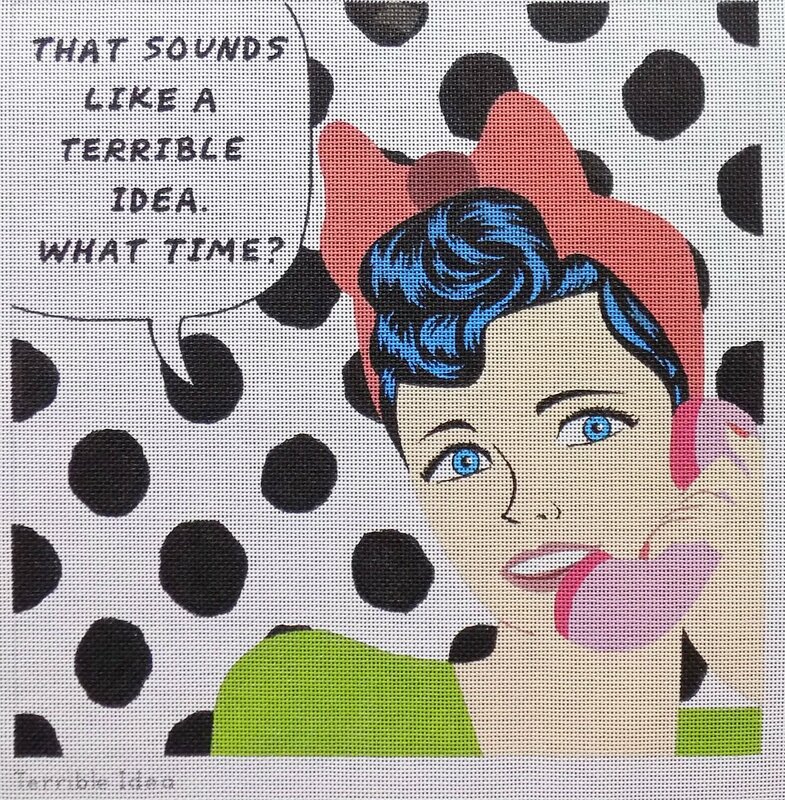 There are also professional needlepoint pillow finishers who will do this for you. 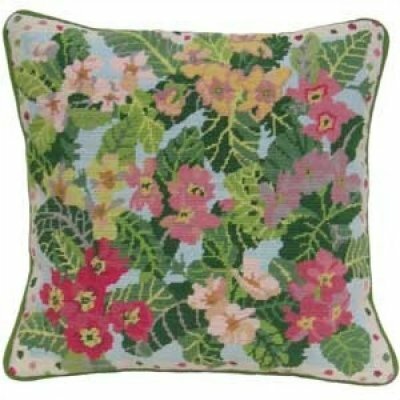 Take a look at our extensive collection of needlepoint cushion kits and contact us with any questions. We're always glad to help. 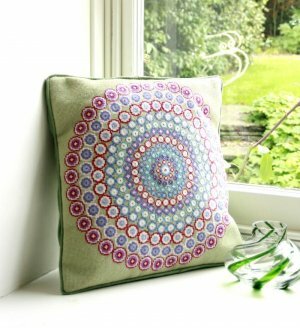 Primavera Needlepoint has some of England's finest needlepoint cushion kits. We have imported them to the Unites States where they await your needle! They are fresh florals with fine detailing, and plenty of options for the novice stitcher. Fine Cell Needlework is an English charity. 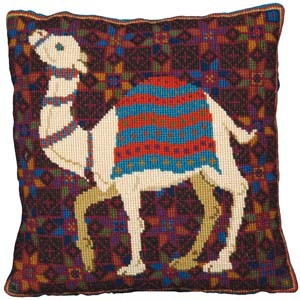 Their needlepoint cushion kits are contemporary in style even though they're based on historical tiles and tapestries. 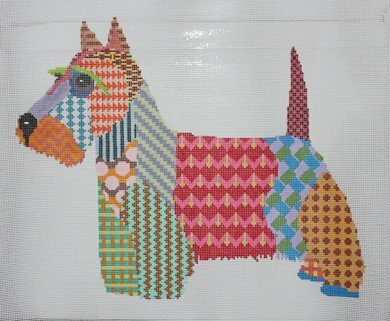 Animal Fayre needlepoint cushion kits are not all about animals. Many of these designs are based on medieval textiles. These English needlepoint kits have a unique, traditional flavor. 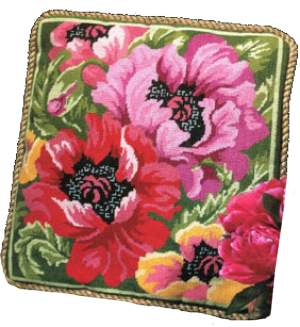 One Off Needlework of England produces the finest needlepoint cushion kits in a variety of styles. There are kits for children's rooms, needlepoint doorstop kits, colorful millefiori designs. Take a look.. 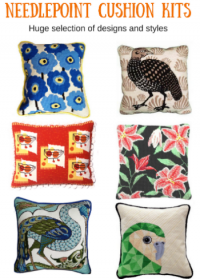 There is nothing like a vibrant Jennifer Pudney needlepoint cushion kit for elevating your sofa to a new level. These kits are from New Zealand where the colors of the South Pacific are reflected in the sassy designs. 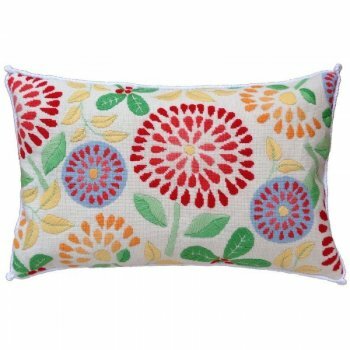 Contemporary floral flair with The Stitchsmith modern needlepoint cushion kits from New Zealand. 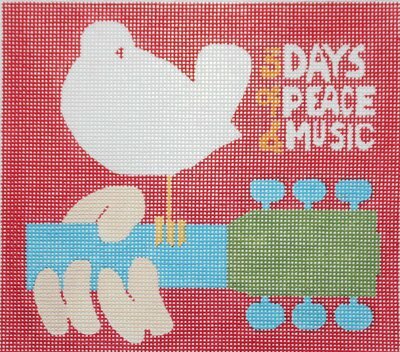 This is a small range of absolutely unique needlepoint. Stitch one of these and your visitors will ooh and aah over it! Welcome to Australia. Modern needlepoint cushion kits from Down Under and the design house of Studio Stitches. These kits are of a high quality and feature bright, bold and contemporary design. 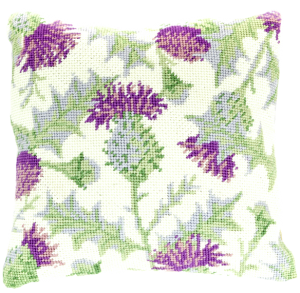 Imported from Scotland, these needlepoint cushion kits from Cleopatra's Needle are the ideal blend of traditional and contemporary. Lots of fruits and florals with pastel colors predominating. 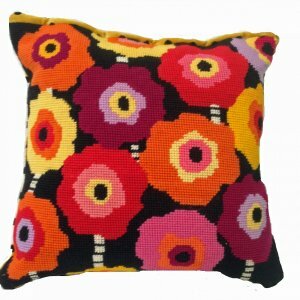 Home Creations is a range of very affordable needlepoint cushion kits. Made in Los Angeles, and kitted with cotton, these kits are good value and beautifully designed.